The Cleveland Cavaliers lost to the Golden State Warriors in heartbreaking fashion in Game 1 of the NBA Finals on Thursday. The Cavaliers were positioned to win the game in regulation but unravelled in the final seconds in part because of a controversial call reversal from the referees. 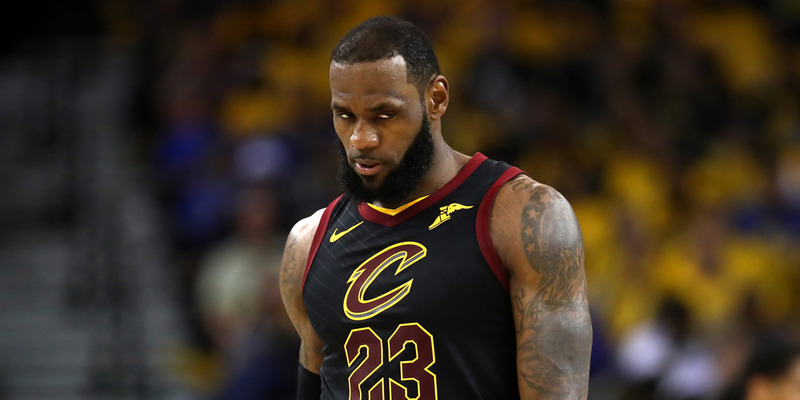 ESPN’s Brian Windhorst said that after the game LeBron James was as mad as he’s ever been, while head coach Tyronn Lue argued that the call should have never been reviewable. The Cleveland Cavaliers lost Game 1 of the NBA Finals in heartbreaking fashion on Thursday night, falling in overtime to the Golden State Warriors, 124-114. Perhaps the most important moment near the end of regulation came when the officials reviewed and ultimately reversed what had been called a charge on the court. With the Cavaliers leading 104-102 with 30 seconds remaining, Kevin Durant drove into the lane and was met by LeBron James, who slid in for the stop. Durant knocked James to the ground, and the bang-bang play was called a charge on the court. But the officials decided to review the play and change the call to a block, swinging the game in the Warriors’ favour. Durant hit two free throws to tie the game. The back-and-forth final seconds ended in a tie to force overtime as J.R. Smith dribbled out the clock after appearing to have forgetten the score. After the game, James said he was furious with the officials’ decision. Beyond what James said on the record, ESPN’s Brian Windhorst said on “SportsCenter” after the game that James’ anger with the call went beyond anything that he had seen from him in his career. Cavaliers head coach Tyronn Lue was also understandably upset with the decision, arguing that the call should have never been up for review in the first place. The Cavaliers’ unravelling in the final seconds ended up wasting one of the best performances of James’ career. They will need to reset if they’re to have any hope of winning Game 2 on Sunday – but there’s no doubt the referees’ decision will weigh on them for days to come.